Middlesex County Prosecutor Andrew C. Carey and South Brunswick Police Chief Raymond Hayducka announced a New Brunswick man was sentenced yesterday to serve the remainder of his life in a New Jersey state prison for stalking and fatally shooting his ex-girlfriend in South Brunswick on June 24, 2015. Giver Quiroz-Vasquez, “aka” Gilberto Juarez-Vasques, “aka” Erick Morales Sandin, 28, was sentenced in New Brunswick by Superior Court Judge Pedro J. Jimenez Jr. to life in a New Jersey State prison. The sentence was imposed after Vasquez was found guilty by a jury on all counts, on October 4, 2017, for stalking and fatally shooting Alicia Martinez-Izaguirr, 24, of New Brunswick. He was also found guilty of unlawful possession of a weapon and possession of a weapon with a purpose to use it unlawfully against the person of another. Vasquez received the life sentence for the conviction on the first degree murder of his ex-girlfriend. The sentences on the stalking and possession charges were merged into the life sentence. During a trial, Middlesex County Assistant Prosecutor Bina Desai and Middlesex County Assistant Prosecutor Simret Michael presented evidence and testimony showing Vasquez followed the victim from her new boyfriend’s house, waited for her while she stopped at Dunkin Donuts and fired at her car when she turned onto Docks Corner Road in South Brunswick. He then proceeded to follow her into the parking lot at 241 Docks Corner Road, where she worked, walked up to her car window and shot her twice in the head before fleeing the area. Vasquez was traced the next day to New Hope, Pa., where he fled to in a borrowed car, and was arrested during an extensive investigation by South Brunswick Detectives Monica Posteraro, Eric Tighelaar, Dennis Yuhasz, and Middlesex County Prosecutor’s Office Detectives Craig Marchak and Grace Brown. Editor’s Note: What’s missing is the beautiful face/photo of the victim. We don’t ask for this, it happens…and often, in our own backyard. We got the news this morning, and it was just up the street from our Red Dashboard LLC Publications office. In January of 2015 I learned a poet which Red Dashboard published two years prior was chosen to represent his state of North Carolina. Shelby Dean Stephenson was now a Poet Laureate. I can’t explain the excitement. In running this publication for ten years (starting with ezines, and moving into a press) I had published a poet laureate, Allan Birchelbach of Texas had submitted a poem into an awards category which he won The Spur Award from Western Writers of American for poetry. His poem was slated to publish in our Cowboy Poetry Press anthology, Unbridled, spring/summer print, and then we were to pick up the award in late June. This was already a highlight for me. I was feeling my endeavors learning to publish and manage were paying off. I had decided to take their work, and without knowing anything about them, I merely loved what they wrote (we do have editors who look over work along with me). Wanting to write a piece about going to my first laureate inauguration, I barely found time to sit down and speak about mine and Shelby’s next day meeting at his home. Work was growing at a fast rate. On that visit we talked about how it was a shock in some ways, and then he gave me The Plank House tour. I told him how his emails with me back and forth were like poetry. Encouraging me to write about my childhood as we connected over his writing—about being country kids when things were much more simple; he also encouraged me to get another book out. Shelby reviewed my first collection, My South By Southwest (2014), along with many other poets, giving me the thumbs up on the musicality, among other great points. The time wasn’t right for our press, life goes on. Two years plus, and on an unusually warm November day my husband and I find our car driving into Benson, NC where I had arranged to sit down and speak to Shelby again. I’m still thrilled to hear him talk about life, about the writing process, other poets (he keeps me on my toes), and about what’s gone on in the two years he began his laureate journey. EAS: Shelby, do you mind if I ask you a few questions? (I pull out my high tech digital recorder). Shelby: Wow, aren’t you totally prepared, all twenty-first century. EAS: Have you accomplished what you set out to do (he mentioned to me what he wanted to get done as PL back in 2015)? Shelby: Gosh, I haven’t gotten started (he laughs). EAS: What are the two things that you’ve done in your term as Poet Laureate of North Carolina, 2015-17, and what do you plan to accomplish? Shelby: It all seems like a dream—one thing I’ve learned, taking poetry into retirement and nursing homes, and farming. I’m an old FFA boy from way back, I live here. Oh what else was I thinking? Oh yes, genealogy. Have you done yours? Shelby: Mine dropped off about 1651 and drop into a hole. But I’ve learned, Alzheimer’s, music does it. It’s a way to get to the people that way. EAS: Mine dropped off about 1647, the Scottish side, even later on the other. Shelby: It’s amazing, I’ve been to Murphy, twice, programs and things, it’s a long state (NC), goes all the way down to TN; you can drive two hours here to there , it’s been fun seeing it all. I was recently in Sylva, celebrating Kay Byers life. Silva is way way south of Asheville. Everybody has a story—you know that; this state is lively, and loaded with people who want to write. EAS: Has anyone coined your writing style in the past few years? I don’t like to use that term, but it seems people do pin you down, in spite of your feelings. Shelby: Oh gosh (laughing). I don’t think so. Everyone now I’m off hand, and then I riff, get off topic. If you ever get the chance to talk to him, or read his works, it’s about family. About his father bringing home food, like me, we ate what my father fished and shot. Shelby: Ah, I wrote a Possum poem the other day. I’m writing some forms now. I have a friend who’s writing, a form, Cinquin. EAS: What’s unique about that form? What caught your attention? Shelby: Oh someone mentioned it to me, and explained it was created by a woman, Adelaide Crapsey in the 1920s. So I wanted to try it. I thought if my name was…oh, I don’t’know. EAS: What caught my attention about your poetry, writing about the past, history, and then we discussed cooking. I lean towards experimental writing, and I felt you had some of that in your manuscripts. There’s not much left to be said about Stuffing. My mother pretty much settled the offerings. Makes me think of nothing but quaffing! In her own hand she wrote the recipe. (laughs) But we never got a chance to try this one. EAS: (laughing) Gosh, I might have to give that one a shot! It’s a different world. Hotels, boy are they an experience. Nin and I did everything together. EAS: Didn’t have a camper you traveled in? Shelby: I traded it for the red car over there. Shelby: Someday when you become a poet laureate I’ll coach you, I’ve only said “No” once. It’s better than ice cream when you travel to schools and face elementary students. It’s a challenge. What do you do? Well, you pull out your guitar and kids respond. They actually ask me to sing songs I don’t know. I usually ask them if they know a song I can play (he goes on to sing the song to me). (About the traveling) One day after the memorial service for my friend, it was raining. I stayed at the Red Roof Inn. I ended up writing a poem for Anne Russell, “The Red Roof Inn Plus.” In remembrance for a time my dog and I stayed with her once. It actually came out pretty funny. You let the words flow and take you where they go. It’s wonderful not to be bored. I’m having fun. And Cricket (his dog) goes everywhere I go. EAS: Do you keep the title “Poet Laureate of North Carolina” once your term is done? Shelby: Well, I’m certainly still me, not former anthing, I haven’t changed, so I’m always a poet. (laughs) Yes, I keep the title. EAS: I want to end this on one last note. You’ve explained being poet laureate keeps you busy, brings new things to light, like taking care of yourself. My Grandfather always said keep your minds going, he was 99 when he passed, and always writing. What do you say to young writers out there? Even late comers? Shelby: People didn’t know what poetry was when I was young. It salvaged my life. To be thirteen or fourteen again, somehow words and poems and stories, you respond to stuff you read. You wake up one day and find yourself bored out of your mind, your mind wanders, and you find you have to get it out there. Old or even new stories can come out of you. I certainly never thought I’d be here. I taught, never thought about that either. That’s the thing—the arts and creative things will still find the children. The digital age takes their attention, but hopefully they find the words. They will turn it into poetry or stories. My message, is to write, share your life, your words, your family. Be lively. 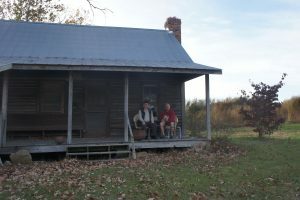 What a great time I had just speaking to Shelby on the steps of his family’s old plantation plank house, with another Plank House tour (hubs hasn’t seen it, he’s the one on the left in photo). It was like sitting on the porch as my old timer relatives chatted about the old life. Our conversation at times goes in a hundred different directions, but I’ll always love talking or corresponding with Shelby. Some say I have a Laureate crush, and wouldn’t you if you published one! Shelby Dean Stephenson stumbled into our catalog, into my life. I’m glad he couldn’t stop writing. I’m glad he had manuscripts lying around to send to us. I humbled and honored to say he was one of our authors. As a publisher, I advise you to be open to all writing, in form or in experimental stage. You could be reading a poet laureates manuscript. When I first joined the Red Dashboard team, I had little knowledge of what I was in for. I was introduced by a long strand of chance meetings through people I never expected to know, let alone come to know as something of a second family. Even as the newbie, I have never felt so instantly welcomed into a group of such diverse, talented, and inspiring people. They have each taken me under their wing in a different way to bring me forward and give me my own voice. On October 7th, at Caddyshack Bar and Grille, I attended my first WAMPP event as a host. I had the pleasure of meeting some of the artists I had heard so much about since joining, and watch their performances as they brought their poetry to life. 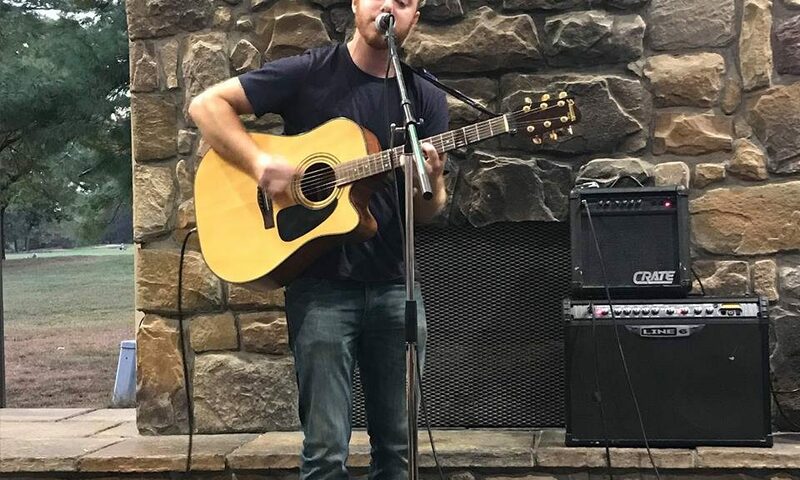 Along with some new faces, and the women from the Plainsboro Library, we captured the attention of not only our audience, but even many of the regulars at the bar, who turned to listen and applauded with the rest of us. I got up to read, very briefly, during the open mic portion at the end of the night. Afterwards, several of us gathered back home for a little after-party celebration, with drinks, laughs, and nibbles. I very much look forward to our next event, and I hope to see more of you there! I’ll be updating regularly, so stay tuned to see what the Red Dashboard girls are up to. It’s about time! (WAMPP began 2007-10) we started back up our entertainment leg of the publishing company. Our managing editor ran open mica and performance series to help get authors, musicians and other performers out in the public view. Many of these performers are veterans at their craft, some new, but all are welcoming an audience! Elizabeth’s experience includes years as an event coordinator and caterer (cookappeal) before going back to her initial college passion as a writer and editor, and then publisher of RedD. We found not all venues accepted poetry as part of their open mic series, so she began her own. Home venues, if space allows, bookstores, and other spaces are welcome to contact us to organize and host an event. 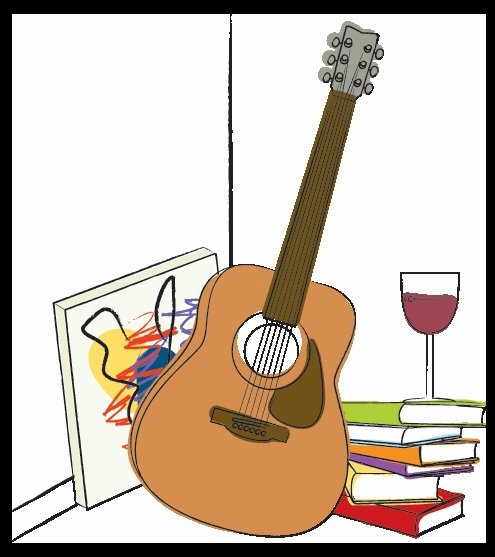 RedD is hoping to raise funs to help send two individuals to a writing retreat, festival, and or a music/song writing conference. Arts are important to us all, and we strive to make it forefront here in New Jersey, and the Pennsylvania areas. Contact us at editor@reddashboard.com if you have any suggested locations. Many performers will be introducing an alter ego to spice up the day. 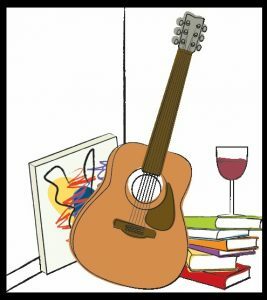 Suggested Donation ($2-5 ea person to help pay for space and raise funds to send two artists to 2018 retreats); picnic for yourself or a pot-luck dish to share with others (BYOB, water, soda, and paper goods will be provided). Our managing editor-Elizabeth Akin Stelling and poetry editors were excited to have received Nicole Yurcaba’s Hollow Bottles and an up coming novel manuscript this past summer, after meeting her at the 2015 BIPF (Bridgewater International Poetry Festival). She is not only as one blurb describes her, into Goth, but her words reflect her love for her Ukrainian heritage and her admiration for writing itself show in each line. She is now a professor of English at the very college for whom hosts the festival every two years. You can hear her read this coming January 12-15, 2017. Derrick Paulson has been our lead fiction editor for the past four years, and we honor his hard work by publishing his first novel. He is now teaching at the 10 grade level in high school and informed us he is bringing some of our submitted manuscripts into the class (with permission from his superiors). Derricks sense of humor is apparent in his writing of intergalactic space travel in Hot Potato: Misadventure Aboard the Good Ship Praxidike and its characters, which has made him a joy to work with the past years. He’s got a great grasp on the story lines of others books (which brought us the 2016 Will Rogers Medallion Award!) and his own stories. Some readers commented to the author that the book print was larger than necessary which also made the book bulkier (530 pages). We have now released a smaller print version with 408 pages. We have just released a poetry chapbook by Lois Losyk entitled “Etched From The Heart” and a flash novel by L Garvey Thomas “Get In The Ring.” Please check them out on the author pages! Red Dashboard has published another poetry and art collaboration book from author Laura Madeline Wiseman. Late last year we published Dr Wiseman’s Leaves of Absence with her artist collaborator Sally Deskins and now we have published People Like Cats with artist Chuka Susan Chesney. Red Dashboard has published “Sentinel” from Dennis Daly. Please check out his author page.